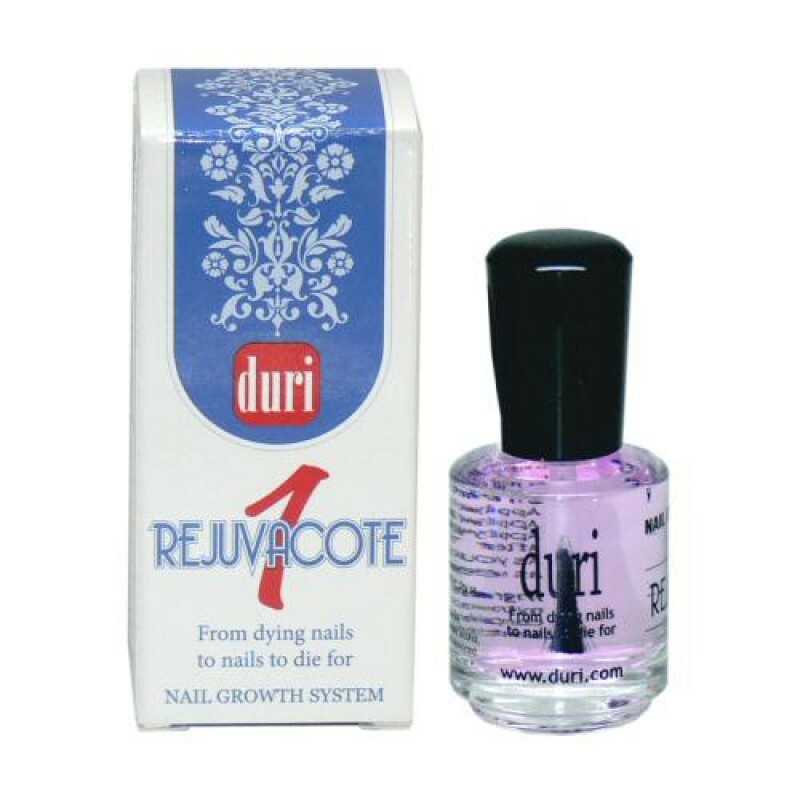 Rejuvacote 1 is duri’s best-selling, award winning nail growth system. Rejuvacote 1 will heal and cure split, cracked, acrylic and gel affected nails. This intensive strengthening formula stimulates nail growth, provides flexibility and pliability while protecting against breakage, splitting and damage. The formula contains hydrolyzed wheat protein and hydrolyzed soy protein to stimulate healthy nail growth. Apply 1 coat of Rejuvacote 1 as base coat. Apply 2 coats of nail color if desired. Apply Rejuvacote 1 as a top coat and repeat applying on top of your nail polish for 7 days, or until your next mani/pedi. Repeat the previous steps. As your nails improve apply every other day or as needed.